Adrift © STX ENTERTAINMENT ALL RIGHTS RESERVED. Based on an autobiographical book, romantic drama Adrift tells the story of sailors and lovers Tami Oldham and Richard Sharp who attempt to deliver a yacht from Polynesia to America in 1982. During their voyage, they become caught in Hurricane Raymond - the most powerful hurricane in recorded history - leaving Richard injured and the boat damaged. With no mode of communication, Tami must repair the vessel and help heal her partner if they are both to make it out alive. 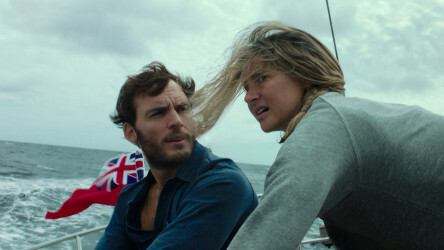 Romantic drama based on a true story of a couple caught in a hurricane on a 4,000 mile yacht delivery trip to San Diego. 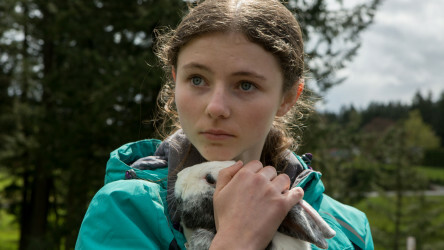 Based on Peter Rock's American novel My Abandonment, an army veteran and his 13 year-old daughter, living in the wilderness, must adapt to society after being discovered by local authorities in Leave No Trace; A young woman who can barely take care of herself is bequeathed a naughty pug dog who initially begins to cause chaos but soon helps to turn her life around in family comedy Patrick. An army veteran and his daughter living in the wilderness are forced to adapt to society. 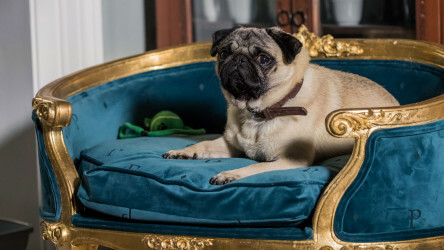 A young woman who can barely look after herself is left a very spoiled and naughty dog by her grandmother. 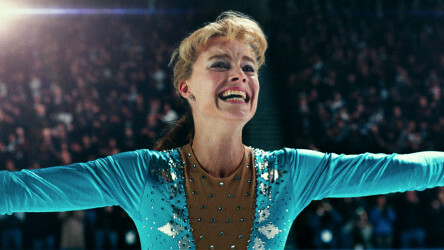 I, Tonya tells the remarkable true story of Tonya Harding, an American ice skater who was at the top of her sport in the early 1990s. In 1994, however, her life took a dark turn after she was linked to the violent attack on her rival skater Nancy Kerrigan in the lead-up to the Winter Olympics. This dark comedy focuses on her childhood, particularly Tonya's relationship with her abusive mother, satirising ambition, celebrity culture and class conflict. 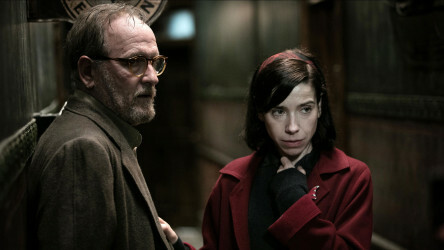 Guillermo Del Toro's The Shape of Water is a Cold War-era fairy tale as a mute janitor develops an intimate relationship with a mysterious amphibious creature being held by the government; British female filmmaker Clio Barnard's latest release, Dark River, sees a sibling rivalry escalate over the ownership of the family farm after their father's death; Suffrage Tales and Somme Tales are stop-motion animated short films created by groups of young people working with The National Archives telling the stories of the Suffrage movement and the experiences of those who survived the Battle of the Somme. 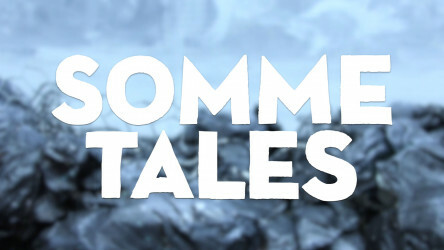 Please note: Suffrage Tales and Somme Tales are available to watch on our online Vimeo channel; please contact info@intofilm.org for further information. A mute janitor develops an intimate relationship with a mysterious amphibious creature at the height of the Cold War. Raw and gritty British rural drama which sees two siblings in conflict over the ownership of the family farm after their father dies. 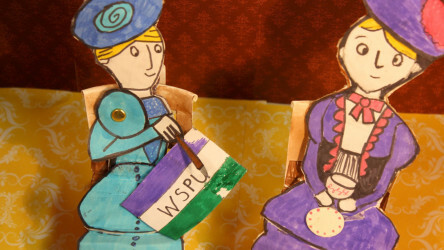 Stop-motion animation created by a group of young people working with The National Archives telling the story of the Suffrage movement. 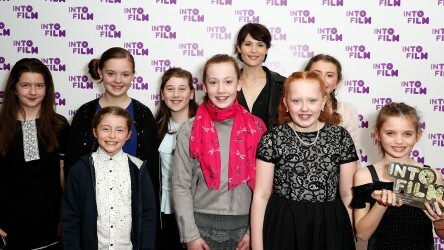 Two members of our curation team visited the 25th Doc/Fest in Sheffield to discover some of the best new documentaries to engage young people in topical issues.